A straightforward overnighter in the dry beech forests around Mount Oxford. Kinnebrooks Hut, Fosters Hill, Black Hill circuit • By Honora. Lees Valley Road, off Ashley Gorge Road, Ashley Gorge. 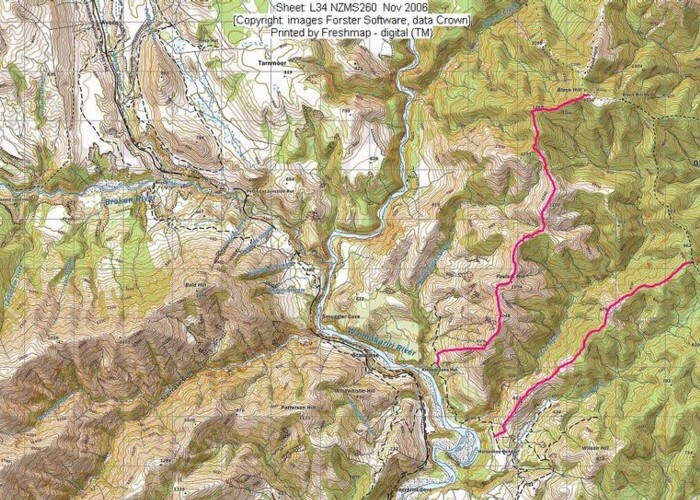 This route is a side trip off the Wharefedale Track, starting where the Wharfedale ends, at Mount Pember Station in the Lees Valley. The Lees Valley is located behind Oxford, after a long drive along the Lees Valley Road above Ashley Gorge. The Ashley River is an antecedent river, meaning the mountains rose after the river formed, and the river simply kept pace with their growth. Black Hill Hut, Oxford Forest • By chris1. This track starts with a long plod along a vehicle track. A mountain bike would make this section more pleasant. The track starts at a roadside DOC sign 1.5km north of the bridge in the Lees Valley. From the car park, follow a farm track over dry grasslend beside the Townshend River. Ford the river to the true left after about 1 hour, and back again soon afterward. At the end of the river flats is the site of the Townshend Hut and a car park. From here, the route splits, The Wharfedale Track crosses a bridge over a swimming hole in the river, while the Black Hill Route climbs heads into bush. Follow the marked track across the river one more time then up a spur. At 1060m, the track meets the Foster Ridge Track (1 hour down to the Wharfedale). From here, the track levels off before a final burst to the hut (1240m). 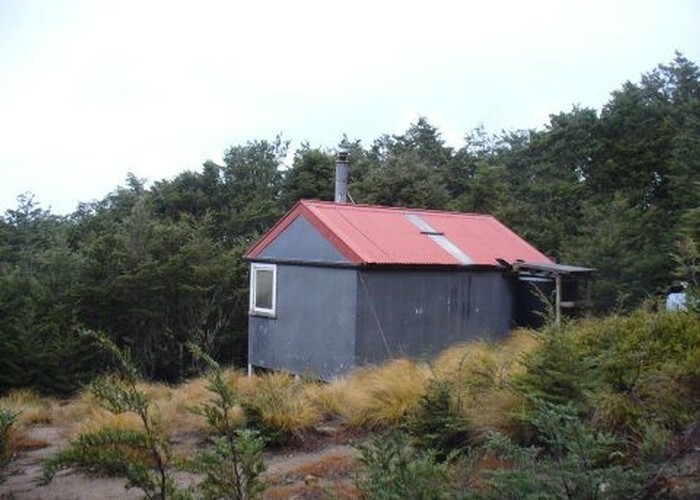 Black Hill Hut • Standard Hut (DOC). Capacity: 6. A short and easy climb behind the hut leads out of forest and onto the summit of Black Hill itself. Added 11 March 2013 by MatthewMatthew. 4 revisions, most recently 12 March 2013 by MatthewMatthew. 318 views in the past year (27 per month).